A Titanic Mystery – Did A Man Dress Up As A Woman To Escape The Sinking Ship? In 1912, society had very strict rules about how men and women behaved, especially when there was a crisis. 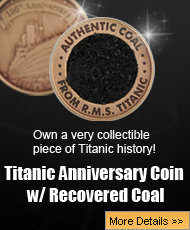 The most important people who were to be saved first were women and children, which also included when the RMS Titanic struck an iceberg and sank. There were 1,523 people that died that fateful night, and if those who survived were men, then they had a lot of explaining to do because not all of the 1,523 that died were men. Some were also women and children, which was a shock to everyone. 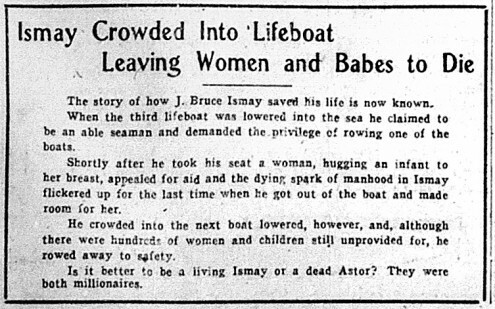 How could men have found another way into a lifeboat before women and children? There were actually several ways that happened, including being asked to step into the boats to help with managing the small vessels, but if men were not asked to help with the sailing of the lifeboats, then how else did they get in? Men who did manage to survive the Titanic sinking were seen as cowards, and they owed an explanation to the world about how they managed to live when so many women and children were left to die. While some men said that they were told to get in, First Officer William Murdoch was letting men in on one side of the ship while Second Officer Charles Lightoller was not permitting men to board lifeboats on the other. 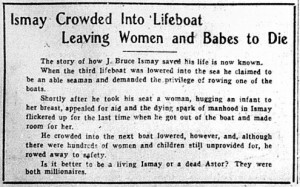 Others were told to row, and those who had nothing to say were automatically perceived as getting into lifeboats under cowardly circumstances, such as dressing up as women. While this rumor began as soon as the Carpathia began picking up survivors, is it truly based in fact or was it just a vicious way to slander men who just happened to survived the sinking of the Titanic? There were many men who were actually the subject of this rumor, and some of them were given quite a hard time, including having their honor questioned because of it, and for some men, it followed them for the rest of their lives. 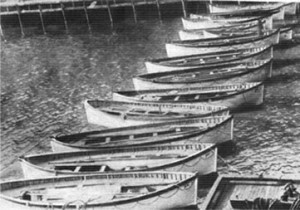 There were many men who were allowed into lifeboats when they were first launched, simply because the women were unwilling to get in, and the boats had to be filled with anyone at this point. Titanic was barely starting to sink when the first lifeboats were launched, and no one was truly aware of the danger. One of the men who was truly unjustly accused of being in a woman’s shawl, hat, and skirt, was William Sloper. Sloper was on lifeboat number 7 and was asked to go in simply because it was the first lifeboat to leave, and no women were willing to step into it. Sloper sat next to Dorothy Gibson and her mother, and was rather uncooperative with the press when he arrived in New York. Rumor has it that his lack of cooperation made the journalists who were outside his hotel room decide to get even, and therefore claimed that Sloper was dressed as a woman. Though the rumor was not true at all, Sloper spent many years trying to step out from under it. 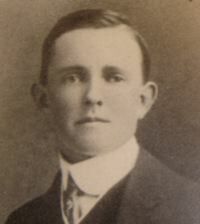 Sloper was not the only man with this rumor hanging over his head, William Carter, Dickinson Bishop, and George Rheims were all labeled as cowards who escaped in skirts. However, the source of this rumor might have been John Jacob Astor, who reportedly put a hat on William Carter’s son, Billy, and told him that now he was a little girl who could go onto the lifeboat, but sources also claim that it was Mrs. Carter who put the hat on her son’s head. Though many men were accused of donning women’s clothing, there was in fact only one man who actually was caught, and reported during the Titanic Inquiry that took place at the Waldorf Astoria by Fifth Officer Harold Lowe. According to his testimony, after the Titanic sank, he wanted to empty his lifeboat so he could go back to look for passengers, and while the women were moving from one lifeboat to another, he discovered a man with a shawl over his head. The man was Third Class passenger Daniel Buckley, who testified that he and a group of men were asked to fill the lifeboat up, but then another office brought a bunch of women and children up from steerage and told the men to get out. Buckley maintained that a woman sitting close to him took pity and threw her shawl over his head when she saw that the officers had guns, and the men were fighting as they were literally yanked out of the lifeboat. 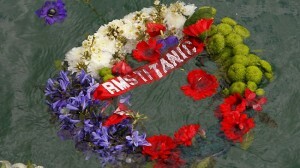 Was there a man dressed as a woman who boarded the lifeboat and escaped the sinking Titanic? The answer is no, but instead there was a young boy with a hat, and a Third Class passenger that wore a shawl over around his head. The night that Titanic sank, the decks were filled with people that soon realized they were going to die and did whatever they could to try and get into a lifeboat. However, the few men that did manage to get away had a lot to answer for and bore accusations of less-than- honorable behavior. Despite the rumors of a man dressed as a woman who managed to get into the lifeboats, no such person has ever been found, and it is just one more mystery of the Titanic that may never be solved. Next post: Titanic 2 – Myth or Reality?